Bahrain’s dinar rebounded sharply against the U.S. dollar in the spot market in early trade on Wednesday after Saudi Arabia, the United Arab Emirates and Kuwait pledged they would support the country financially. 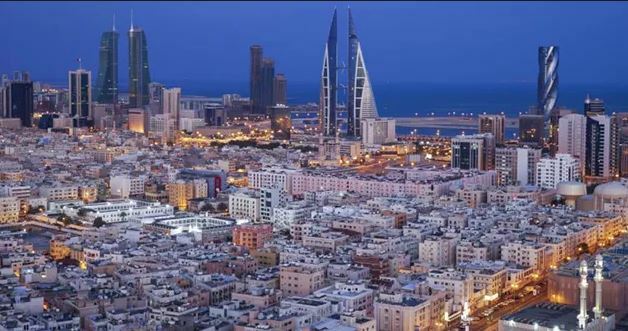 A statement early Wednesday carried by the state-run Bahrain News Agency quoted Finance Minister Sheikh Ahmed bin Mohammed Al Khalifa as saying that its three GCC peers are “set to announce a new programme designed to strengthen Bahrain’s fiscal stability”. It did not give further details of the financial aid package or when it is expected to be announced. Meanwhile, a statement carried by Saudi press Agency said the the countries are committed “to consider all options to support the kingdom of Bahrain and to finalize an integrated program”. The move seemed aimed at calming markets on concerns about Bahrain’s economy. Bahrain’s credit risk rose the most in emerging markets this month. The cost of insuring the nation’s debt against default for five years jumped 170 basis points on Monday to 609. The dinar, whose peg to the dollar has been effectively unchanged since 1980, fell Tuesday in the onshore market to the weakest level since at least 1988, according to a Bloomberg report. The central bank’s foreign exchange assets plummeted to a 2001 low of about $1.2 billion last year. They have almost doubled since, helped by cash raised through bond sales, but the government has about $2 bn of interest payments on bonds through 2019, according to data compiled by Bloomberg. Bahrain’s central bank said Tuesday it’s committed to keeping the dinar’s peg, spurring a decline in the yield on Bahrain’s dollar bonds due 2022.